Aspen is your ticket to a ski lovers dream. No matter your skill set, or who you are coming with, Aspen has endless possibilities for fun and adventure. Aspen is a world famous ski and adventure resort, a year-round destination for outdoor recreation welcoming all levels, from beginner to olympiad. Besides the slopes, Aspen is filled with endless possibilities, and offers incredible dining and unwinding options with plentiful restaurants and spa's. Aspen is comprised of four different skiing areas, that can all be skied on the same ticket. And while Aspen is accepting of all skiing and snowboarding levels, different mountains are better for different expertise levels. The four areas are Aspen Mountain, Aspen Highlands, Snowmass and Buttermilk. Aspen Mountain Also known as "Ajax", is a great area for experienced skiiers, with many narrow paths, and unforgiving turns. The black diamonds on Aspen Mountain, would typically be considered double diamonds, elsewhere. Here, you can also find Bonnie's, the mid-mountain restaurant that is great for taking a break and people watching. Aspen Highlands This is the highest summit of the four mountains. Beyond the incredible skiing conditions, the views from the top may be some of the best in the country. It also offers a backcountry bowl, and while some runs are challenging, this summit invites all expertise levels. Snowmass Snowmass is the largest of the four mountains, and with more land, it also offers more features. It is family friendly, and open to all skill levels, as well as is great for snowboarding. Snowmass also offers 3 different terrain parks, with different features (like pipes), also with different skill levels offered. Buttermilk For those coming to Aspen, without any skiing experience, buttermilk is the perfect learning ground. There is also a hangout area for children, named Ft. Frog. Along with beautiful views, this area also has great powder, as fewer skiiers tend to run down. Element 47 This restaurant is not only popular by visitors, but by locals as well. Ranked consecutively the best restaurant in Aspen, Element 47 serves contemporary American cuisine. With emphasis on the food, this restaurant also embraces the casual Aspen dress code, and will greet its guests warmly from the second they step in. Matsuhisa Brought by the famous Japanese chef Nobu, this Aspen hot spot restaurant serves top notch sushi. With a sushi lounge and bar upstairs, and the main dining area downstairs, the food blends traditional Japanese dishes with Peruvian ingredients, creating incredible dishes. Spring Cafe Organic Food & Juice Bar This modern health focused cafe, is perfect for nourishing the body after an energy spent day on the slopes. They serve organic, fresh pressed juices, smoothies, sandwiches, and salads. To really get the Aspen Experience, you have to absorb the important culture of Après, which translates from French to after-skiing. This also translates to kicking your ski boots up, and enjoy some good drinks, with some great company. If you're looking for a great spot to relax after hitting the slopes, The Red Onion is a great ski-bum bar, that welcomes all with drinks, wings, and sports games. For a better party scene, head to Sky Hotel’s bar 39 Degrees, with a lively and yet casual bar, and a hot tub, or Cloud 9, which is a bar in a humble cottage, that turns into a full fledged party after lunch. Aspen also offers the only pop-up champagne and caviar bar in the world, Oasis, which changes locations every weekend. After a hard day of hitting the slopes, and living the Après lifestyle, we recommend some much needed relaxation at one of the many luxury spa's that Aspen has to offer. The Remède Spa This full service spa offers any kind of treatment you could need after a long day in Aspen. Staffed with some of the best professionals in the world. The five star experiences at The Remède range from massages to high altitude recovery facials, to anything else you could possibly need. Aspen Club and Spa This wellness spa focuses on rejuvenating the body from any ailments resulting from adjusting to Aspen’s thin-air and high-altitude. They offer such specialties, such as thermal, oxygen, and mineral treatments, as well as rejuvenating full body citrus, aloe, and juniper wraps and scrubs. Samsara Holistic Spa and Boutique At this holistic wellness center, the focus is on the mind and body. All products are organic and eco-friendly. Their specialties include iconic foot baths, infrared saunas, and colon hydrotherapy. Don't miss out on all that Aspen has to offer! Consider booking your next vacation with LVH Global. 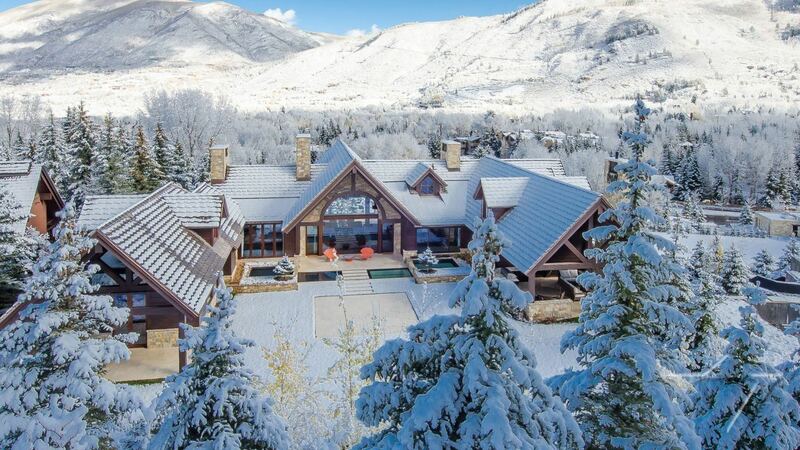 Click below to view our wide variety of luxury properties available for rent in Aspen .